Worcester VegFest 2012: April 15, 2012! 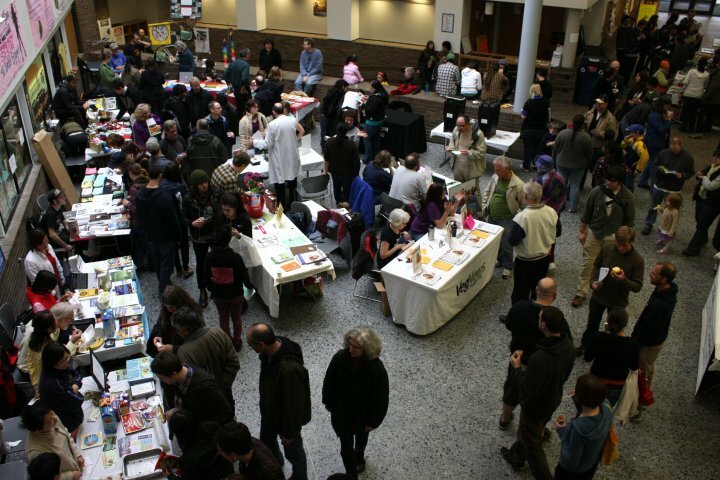 New England residents will have the opportunity to eat, listen, and learn at the Worcester VegFest 2012 on April 15, 2012 from 11am to 5pm at Worcester Tech High. The Worcester VegFest is dedicated to celebrating plant-based diets, sustainability and healthy lifestyles. The festival is in its 3rd year and will feature kid-friendly activities, socially responsible companies, speakers, cooking demos, and lots of free samples of tasty vegan food. Yum! Did we mention admission is free?! The speakers include T. Colin Campbell, co-author of the China Study! His 20 year partnership with Cornell, Oxford, and the Chinese Academy of Preventive Medicine resulted in The China Study. Considered the most comprehensive study of the connection between diet and disease, the China Study results indicated that the closer we are to an entirely plant-based diet, the greater the health benefits. The recent film Forks Over Knives was inspired by the China Study. What an opportunity to meet and interact with Dr. Campbell! 2010 was the first year of the festival, and it featured 35 exhibitors and 2000 attendees. Last year the event grew to 46 exhibitors and 3000 attendees. It’s great to see so much more interest in exploring a plant-based diet. Let’s see how big the event will be this year. We hope all our friends in New England get to attend!